Today cities of the Arab world are subject to many of the same problems as other world cities, yet too often they are ignored in studies of urbanisation. This collection reveals the contrasts and similarities between older, traditional Arab cities and the newer oil-stimulated cities of the Gulf in their search for development and a place in the world order. 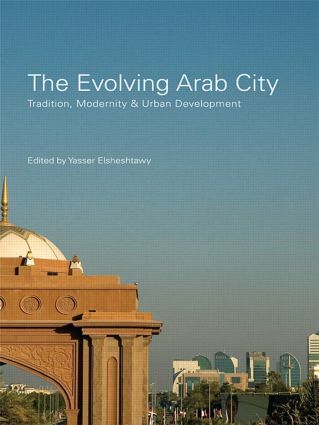 The eight cities which form the core of the book – Rabat, Amman, Beirut, Kuwait, Manama, Doha, Abu Dhabi and Riyadh – provide a unique insight into today’s Middle Eastern city. Winner of The International Planning History Society (IPHS) Book Prize. Yasser Elsheshtawy is Associate Professor of Architecture at the United Arab Emirates University. His most recent publication is an edited book published by Routledge (2004) titled Planning Middle Eastern Cities: An Urban Kaleidoscope in a Globalizing World. He has lectured at Harvard Design School, Tianjin University, China, and Virginia Commonwealth University, Doha.